Your Sunny San Diego Connection for all Your Real Estate needs! "I had the opportunity to work and meet Barbara during our relocation to San Diego. Barbara was great to work with, very honest, had our best interest in mind. She isn't pushy and trust me she showed me many homes!!! Barbara was patient and wanted to make sure we were comfortable with our decision. I found her to be creative, worked well with other agents and knowledgeable in mmany areas around San Diego. If you need a Real Estate agent, don't hesitate to call Barbara!!!" "Barbara is very caring and a hard worker, looks out for her clients and pays attention to details. She is a winner!!!!" "Barbara is a great REALTOR®. I have known her for over 15 years and have come to learn her tremendous knowledge of the real estate process. When you are in a transaction with Barbara you learn what a caring person she is especially for her clients. 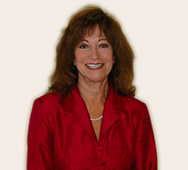 If you are looking for a great REALTOR® and one who stays on top of the entire process, Barbara is your REALTOR®." "Barbara thank you for making the sale of my house an easy experience at a difficult time. You made everything go smoothly and I really appreciate it." "Barbara thank you for finding my dream home in La Jolla. It's perfect and I know I will be happy here for a long time! Your patience and hard work truly paid off!" As a proud REALTOR® for 25+ years Barbara has helped countless home buyers and sellers through the home transaction experience. If you are a first time home buyer or seller or have returned to the market Barbara is here with her vast knowledge, persistence, professional background and strong negotiating skills to get it done. She can assist you from beginning to end (and even after) with knowledge in current market conditions, loans that vary according to each transaction, different communities throughout San Diego County, and many more tips and tricks within the San Diego Real Estate Market. Barbara has also been very active in her local San Diego Board of REALTORS® as a Director and leader of many committees. She also sits as a Director and Chair at California Association of REALTORS® (CAR). She is involved with Professional Standards and Risk Management. She is in leadership in the Certified Residential Specialist (CRS) designation which only 3% of REALTORS® nationwide have. She is also a Graduate of the Real Estate Institute (GRI) and holds the Short Sale and Foreclosure Resource (SFR) designation. She is a member of the National Association of REALTORS® (NAR).She holds the RISK Management Specialist (RMS) designation. These credentials give you the best in a REALTOR® and Barbara is all that and more. She has reached the RE/MAX Hall of Fame with her production through the years. San Diego Real Estate market. Interest rates have never been lower and prices are at an all time low as well. All real estate agents are not the same. Only real estate agents who are members of the National Association of Realtors® are properly called REALTORS®.